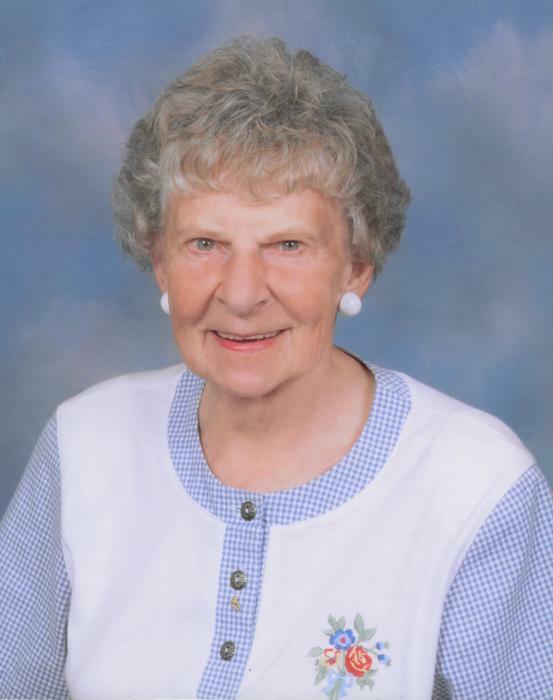 Obituary for Mary "Betty" Meier | Lynch-Green Funeral Home, Inc.
Mary E. "Betty" Meier, 89, a resident of Elk Haven Nursing Home and formerly of Wolfel Avenue, St. Marys, died on Tuesday, November 13, 2018 at Elk Haven Nursing Home following a brief illness. She was born on November 17, 1928, in St. Marys, a daughter of the late Ambrose and Evelyn Burgess Schlimm. On May 10, 1952 in St. Marys Church, she married Donald "Brownie" Meier, who preceded her in death on August 11, 1990. Betty was a graduate of Central High School, class of 1946. She was a member of the St. Marys Church where she was also a member of the Rosary Altar Society. She retired from the former Deposit Bank after many years of service and was active with and volunteered her time for the Golden Grads over the years. She was also a volunteer with the Learning Center and enjoyed playing cards with her friends. Betty was a gentle soul who enjoyed crocheting and most importantly, spending time with her family. She is survived by two daughters; Donna Vicini and her husband Duane and Dianne Meier, both of Russell, PA, and by one son; Ronald "Butch" Meier and his wife Amy of St. Marys. She is also survived by five grandchildren, Lisa (Mark) Sano, Craig Vicini, Sara (Ian) Paterson, Donald (Kelsie Hernandez) Meier, and Aaron Meier and by one great-granddaughter, Elizabeth "Ellie" Sano. She is also survived by several nieces and nephews. In addition to her parents and her husband, she was preceded in death by three brothers, George, Paul, and Thomas Schlimm. She was the last surviving member of her immediate family. A Mass of Christian Burial for Mary E. Meier will be celebrated on Friday, November 16, 2018, at 12:00 PM at St. Marys Church, 315 Church Street, St. Marys, PA 15857 with Rev. Peter Augustine Pierjok, Pastor, officiating. Visitation will be held at the Lynch-Green Funeral Home on Friday, November 16, 2018 from 10:00 AM until 11:30 AM. In lieu of flowers, Memorial Contributions may be made to the Elk County Catholic School System, 600 Maurus Street, St. Marys, PA 15857 or to the Elk Haven Nursing Home Activities Fund, 785 Johnsonburg Road, St. Marys, PA 15857.